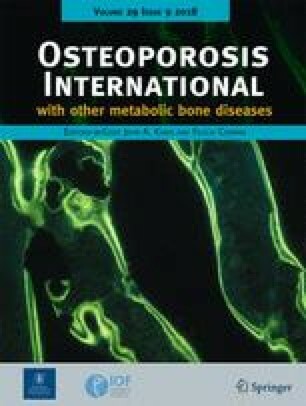 A summary of systematic reviews and meta-analyses addressing the benefits and risks of dietary protein intakes for bone health in adults suggests that dietary protein levels even above the current RDA may be beneficial in reducing bone loss and hip fracture risk, provided calcium intakes are adequate. Several systematic reviews and meta-analyses have addressed the benefits and risks of dietary protein intakes for bone health in adults. This narrative review of the literature summarizes and synthesizes recent systematic reviews and meta-analyses and highlights key messages. Adequate supplies of dietary protein are required for optimal bone growth and maintenance of healthy bone. Variation in protein intakes within the “normal” range accounts for 2–4% of BMD variance in adults. 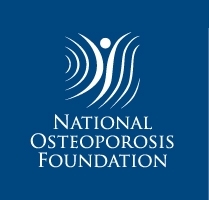 In older people with osteoporosis, higher protein intake (≥ 0.8-g/kg body weight/day, i.e., above the current RDA) is associated with higher BMD, a slower rate of bone loss, and reduced risk of hip fracture, provided that dietary calcium intakes are adequate. Intervention with dietary protein supplements attenuate age-related BMD decrease and reduce bone turnover marker levels, together with an increase in IGF-I and a decrease in PTH. There is no evidence that diet-derived acid load is deleterious for bone health. Thus, insufficient dietary protein intakes may be a more severe problem than protein excess in the elderly. Long-term, well-controlled randomized trials are required to further assess the influence of dietary protein intakes on fracture risk. The writing of this paper was supported by a grant from the Dairy Research Consortium (Dairy Farmers of Canada, Centre national interprofessionnel de l’économie laitière (CNIEL), National Dairy Council, Dairy Australia Ltd., Dutch Dairy Association, Danish Dairy Research Foundation), who did not intervene in data analysis, interpretation or conclusions. RR received fees for lectures or advisory boards from Radius Health, Danone, Nestlé and Effrx/Labatec. EB received a research grant from Danone. JPB has nothing to disclose. VC received a grant from Rousselot and belongs to the advisory board of Triballat Institute. DG has nothing to disclose. JAK reports grants from Amgen, Eli Lilly, and Radius Health; non-financial support from Medimaps and Asahi; and other support from AgNovos. JL has nothing to disclose. LR has received institutional research grants from the Danish Dairy Research Foundation. SS has received institutional grants from Dairy Management, Inc. and is a member of the Nutrition Research Scientific Advisory Committee, National Dairy Council. CW received fees for lectures, advising, or grants from Pharmavite, Pfizer, ILSI, Alliance for Potato Research and Education, Tate & Lyle, Danone, and General Mills. HW received research grants from Dairy Farmers of Canada and the Dairy Research Cluster Initiative (Dairy Farmers of Canada, Agriculture and Agri-Food Canada, the Canadian Dairy Network and the Canadian Dairy Commission). JYR received fees for consulting from IBSA-Genevrier, Mylan, Radius Health, Pierre-Fabre and for lectures from IBSA-Genevrier, Mylan, CNIEL, Dairy Research Council.